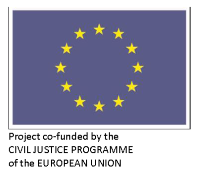 The Hague Conference on Private International Law is pleased to announce that the Prior Information Notice for the procurement of the iSupport case management and secure communication system has now been published on the European Union on-line Official Journal. The purpose of the Prior Information Notice is to inform economic operators worldwide of the Permanent Bureau's intention to sub-contract the development and maintenance of the iSupport project. The call for tender will be launched on 1 May 2015. All relevant documentation pertaining to the iSupport project is available on the iSupport section of the Hague Conference website. A draft call for tender, including the revised Deliverable document which provides a comprehensive description of the iSupport functional and technical requirements, is available on the iSupport webpage. Members of the Hague Conference, iSupport project partners and co-beneficiaries and economic operators are welcome to provide comments or suggestions before Wednesday 15 April. Interested economic operators wishing to give a short presentation (15 minutes) of their company and previous similar work experience at the Permanent Bureau, either in person or by videoconference, in the afternoon of Wednesday 29 April 2015 are invited to contact the iSupport Team before 15 April 2015. For further information, please contact < iSupport.procurement@hcch.nl >. The content of this News and Events is the sole responsibility of the Permanent Bureau of the Hague Conference on Private International Law and can in no way be taken to reflect the views of the European Commission.